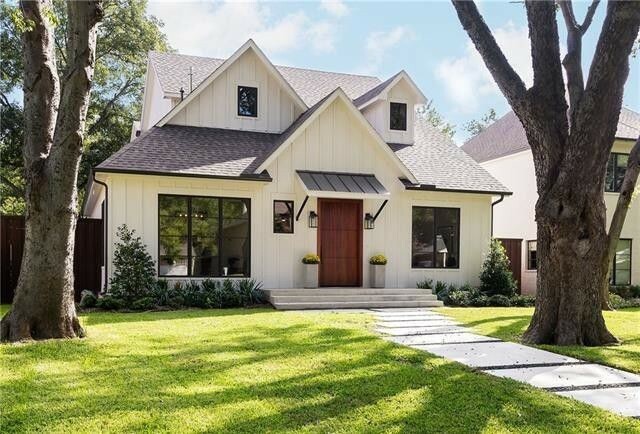 Modern farmhouse has become a wildly popular design aesthetic, thanks in no small part to the tireless evangelism from renovation gurus Joanna and Chip Gaines. It’s their thing! New homes and renovated spaces alike now combine clean, modern spaces with comfortable touches of rustic appeal. These days, large swaths of the nation have been overtaken with shiplap. But besides that ubiquitous design touch, modern farmhouse also incorporates crisp pops of color against a calming white or gray background, wide-plank floors, and upcycled rustic objects. The result? Highly functional and cozy spaces with style to spare. 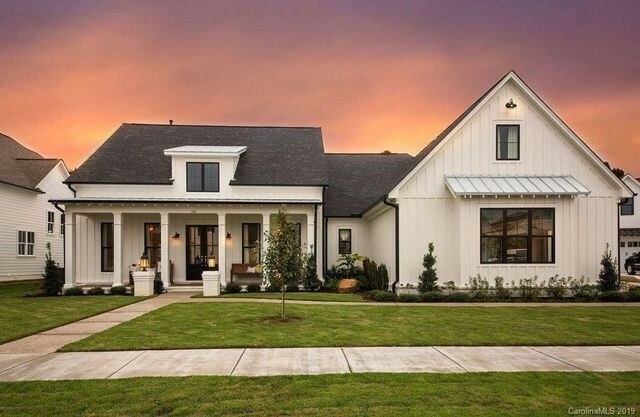 But unless you’re lucky enough to live in Central Texas—where the Gaineses live and do most of their work—you’ll have to settle for another builder’s interpretation of the modern farmhouse. The great news is that there are plenty of examples on the market to choose from. 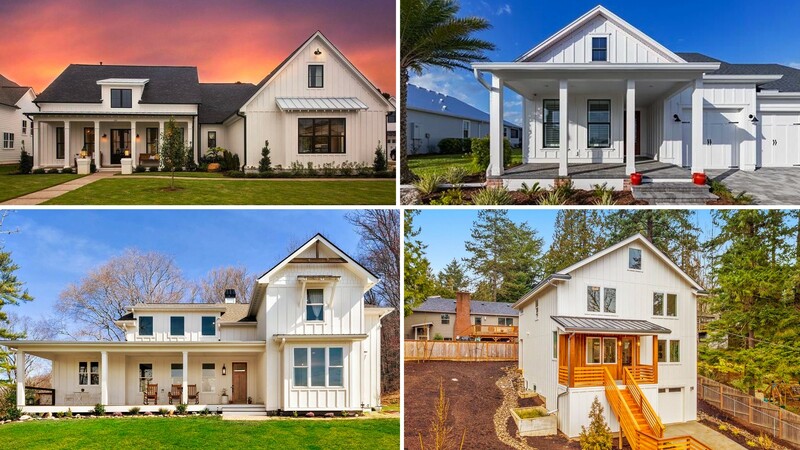 Across the U.S., modern farmhouse style is popping up in unlikely locales and providing home buyers with wide-open, airy spaces to start their next chapter. 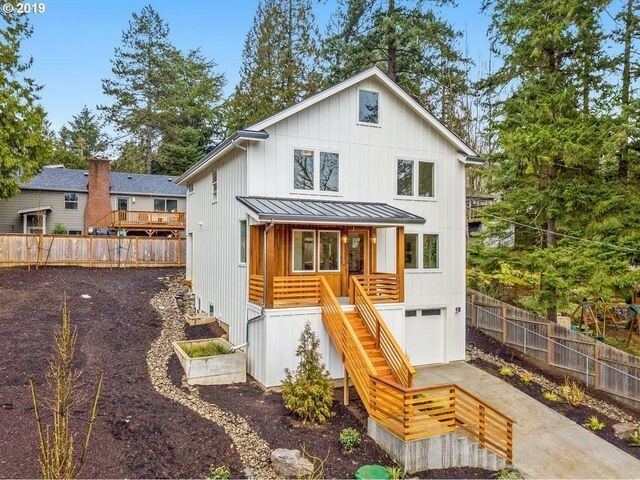 Originally constructed in 1976, this three-bedroom home was rebuilt and finished this year in modern farmhouse style. Check the all-white exterior, wide-plank wood floors inside, and light-filled spaces everywhere. It has two master suites and lush landscaping out back with a deck. 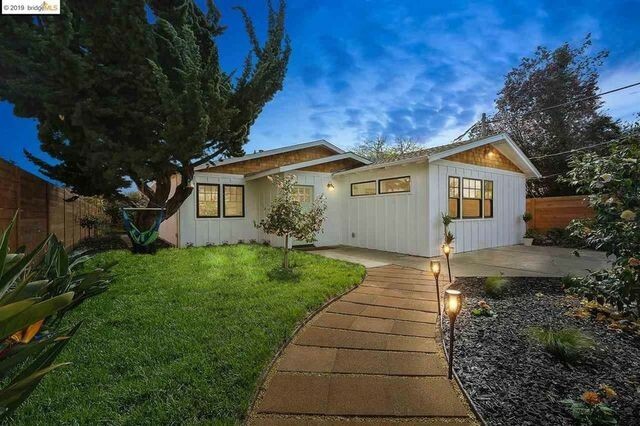 It’s located in Rockridge, a neighborhood with easy access to restaurants, shopping, and schools. Custom-built in 2017, this five-bedroom home sits on nearly 12 wooded acres just outside Asheville, with beautiful mountain views. The gorgeous great room has a high ceiling and large fireplace. Pale walls throughout the home set off the earthy, wide-plank oak floors. There’s also a large, unfinished basement, which offers room to expand. Recently renovated and expanded from its original footprint, this four-bedroom home is imbued with telltale modern farmhouse touches. Located in the prestigious Greenway Crest neighborhood, this home features crisp black and white paint and earthy wood floors, a stylish balance of formal spaces and cozy living. The second-floor living area has a beverage center, which serves the adjacent balcony—making the home ideal for entertaining. 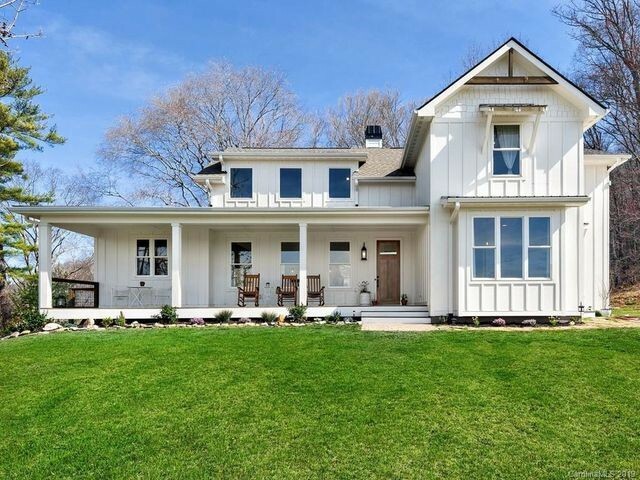 Just finished, this three-bedroom modern farmhouse measures over 2,500 square feet. The interiors are white and light-filled, setting off the sumptuous wood floors. The kitchen features quartz countertops and a six-burner Dual Fuel Bertazzoni range. A bonus room on the lower level would make an excellent media room or play room. 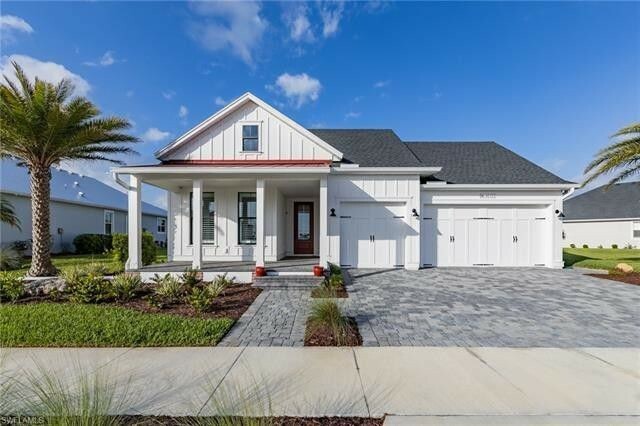 Located in a solar-powered development, this three-bedroom modern farmhouse has it all: shiplap, barn doors, and wood accent ceilings. Outside, the saltwater pool has a picture window pool screen enclosure to take advantage of Lake Timber views. The community of Babcock Ranch also offers a clubhouse, walking trails, and a garden. 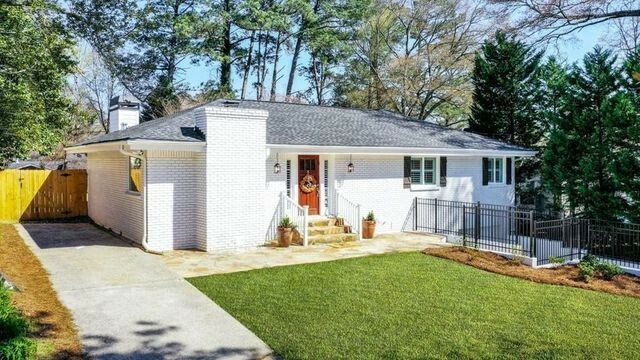 Sitting on a third of an acre in the sought-after Atlanta suburb of Brookhaven, this four-bedroom ranch home built in 1951 has undergone a total overhaul. Mod farmhouse touches include white walls broken up with earth-toned woods and natural materials, bi-fold doors, and a sleek kitchen. Reeves William Builders is selling lots to develop custom-built modern farmhouses. 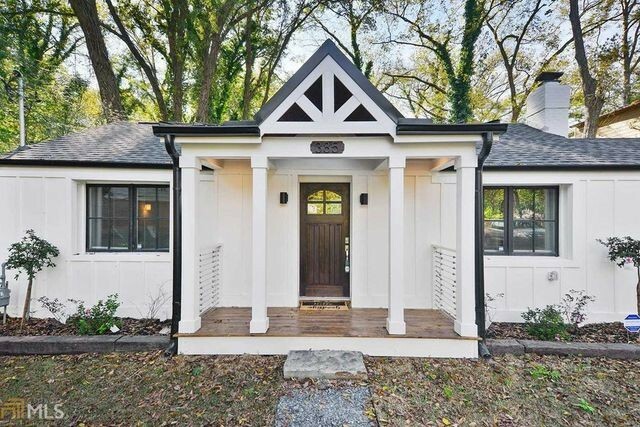 For a 1.25-acre lot with a new home, the estimated cost is about $450,000. The lots are roomy enough for a pool and zoned to accommodate add-ons like chicken coops to bring a bit more farm-forward flare. Built in 1945, this three-bedroom home has been brought into the 21st century with a careful modern farmhouse renovation. The result is a gem filled with natural light and hardwood floors to accentuate the white walls and muted palette. The home has a covered side porch, large yard, and detached garage (complete with sliding barn door) for storage or a workshop. 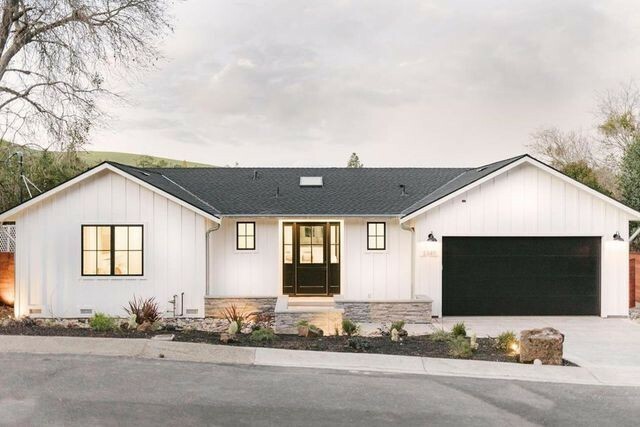 A slightly fancier take on modern farmhouse design, this brand-new, four-bedroom home sits on a quarter-acre overlooking Burton Valley with views of Mount Diablo. Indoors, the great room features a glass-paneled wall, which also serves as a door to an indoor-outdoor living space. There’s also a chef’s kitchen with top-of-the-line appliances, tile fireplaces, Italian tile, a mud room, smoked French oak floors, and a wine cellar.